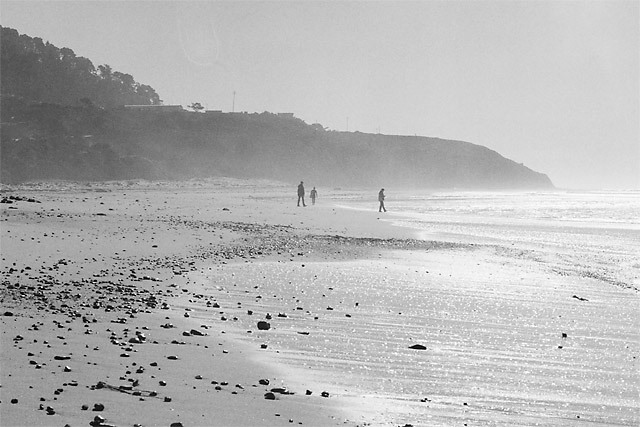 Misty Shadows: Taken at Waddell Creek Beach, where lots of surfers abound on sunny Sunday mornings. Along Hwy 1, California coast. Hasselblad 503cx, Carl Zeiss 80/2,8 Planar C T* f16 (EV 17) 1/500sec. ISO400, Ilford Delta 400 film, negative scanned with Canon 8400f, cropped in post.